As we head out of the chill of winter into the sunny warmth of spring, it seems fitting that Mother's Day is right around the corner. It is such a beautiful time of year and what better time to give thanks and appreciation to the Mother's in our lives. The gift of Mother's Day Jewelry is timeless and sure to be appreciated for years to come. Mother's day jewelry is sure to be a gift that any Mom would appreciate, but you don't want to give her any old design. You want to find something that is as beautiful and unique as she is. At Albert Kaz Jewelry, we have many truly unique pieces because we make most all of our jewelry here in-house. We have compiled a short list of ideas to help inspire you on your gift giving adventure. 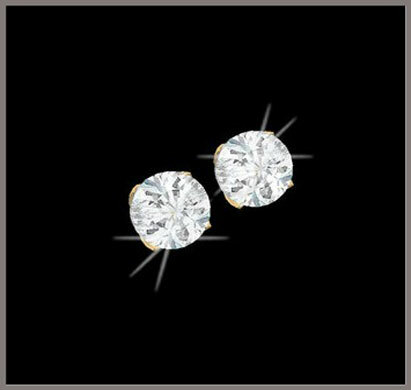 Diamond stud earrings may not be the most unique piece of jewelry we have in our showcases, but every woman should have a classic pair of stud earrings in her wardrobe. Because these earrings are classic and elegant, they are perfect for the casual everyday events to the special moments in life. It's the perfect gift for even the most particular of Moms. Nothing is more special or unique to a Mother than a custom piece of jewelry made with her family's birthstones. This piece of jewelry could be a pendant, bracelet, a ring or even a stack of rings. Similar to the one pictured above, each individual ring contains the birthstone of one child. 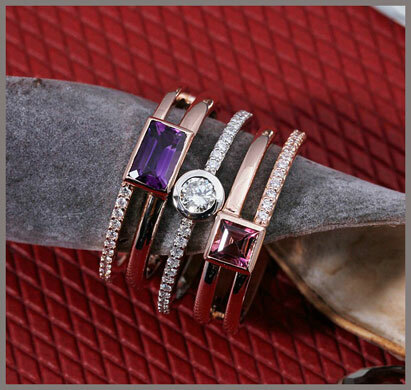 These stackable rings can be worn together or separately. Speaking of stackable rings, we have many different styles and finishes of these crowd pleasing rings at Albert Kaz Jewelry. 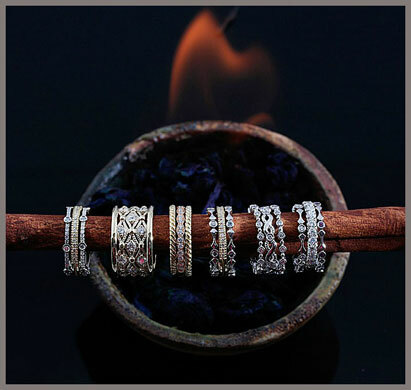 You can mix and match these rings to find the perfect combination uniquely suited for your mother. An added bonus to the stackable ring is that you can always add more rings to her stack at other gift giving occasions. How great is that; a Mother's Day gift and a future birthday gift all in one! 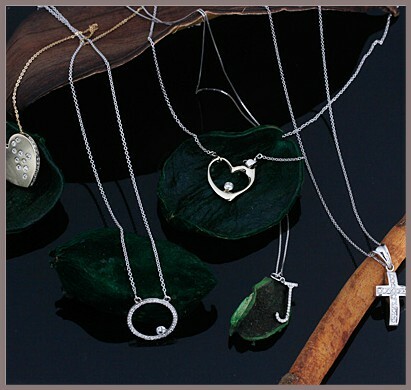 We have so many different pendants available in our showcases. There is sure to be something perfect for your Mom. We have hearts, circles, monograms, crosses and bars. But if you still can't find the perfect pendant, we can always do a custom pendant with all her children's or grandchildren's birthstones. Still don't know what piece of jewelry is perfect for your mom; there is nothing wrong with a gift certificate. Maybe a lunch date and a shopping trip together to Albert Kaz Jewelry is the perfect Mother's Day Gift. There is no harm in letting Mom help you pick out the perfect piece of jewelry for her. You might just create your own special memory together.